The most famous of all jazz accordionists was Art Van Damme. Born in 1920, he started playing accordion when he was nine, had extensive classical training, and gained some prominence in 1941 when he joined Ben Bernie’s radio band. As a studio musician during 1945-60, he worked constantly on radio and television for NBC. He also hosted his own 15-minute Art Van Damme Show for NBC radio for 139 episodes, worked with many singers (including Jo Stafford), and in his career recorded at least 42 albums as a leader and over 150 overall. Van Damme’s quintet, using the same instrumentation as the George Shearing Quintet except for substituting accordion for piano, became his trademark sound. For a period, Joe Pass was his guitarist. Art Van Damme was active until shortly before his death at age 89 in 2010. For The Montreal Sessions, producer Peter Maxymych wanted to bring back the classic sound of the Art Van Damme Quintet but without merely copying the past. “When I was in my teens, I used to play accordion in a trio for extra money. I was never a terrific musician but we did work a lot in ski lodges, some weddings and provided dance music in a few clubs between shows.” Although he did not pursue playing music, he always loved the sound and became a big fan of Art Van Damme. While the sound of the accordion combos have largely disappeared in the years since, he never forgot it and vowed to someday bring it back on a record. Montreal was a natural setting for this recording. It hosts one of the biggest and most prestigious annual jazz festivals in the world. Back in the 1960s when Art Van Damme was at his most popular, Montreal was home to some of the world’s best jazz clubs including the Bellevue Casino and the Black Bottom. "The Montreal connection may not be obvious beyond the presence of Clayton, Walkington, Laing and Labelle, but there's a romantic French tinge throughout"
"There's a romantic French tinge throughout." "A smooth and enjoyable standards album ... The whole album is tons of fun." "This is a swinging outing that will keep you interested and smiling throughout." "With the late accordionist Van Damme’s group as its model, there are the blended harmonic colors of Kenny Kotwitz’s accordion, Greg Clayton’s guitar and Hobbs’ vibes, supported by bassist Alec Walkington and drummer Dave Laing. Sinatra-styled vocalist John Labelle adds extra class to the proceedings on several performances." "... the re-purposing of the accordion is a pure stroke of genius. A top notch jazz collective flipping genres and creating their own sound." "This is a very nice record..."
"This is wonderful relaxing jazz, uncomplicated and tasteful. Perhaps a little too sweet for enthusiast who prefer the adventure of looking for the unexpected... The relaxed atmosphere of jazz from the 60's and 70's is accomplished!" "... one of the finest jazz recordings to pass my ears. Kenny Kotwitz’s accordion work may help to bring the jazz into a French motif, while Steve Hobbs’ vibraphone work is one of the primarily reasons to buy and cherish this album." 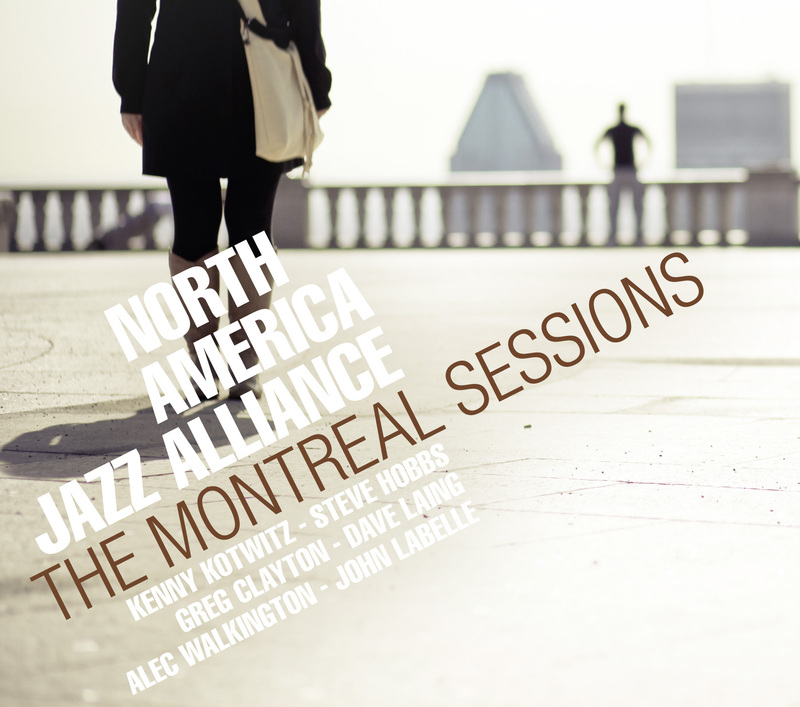 "The Montreal Sessions is a surprisingly tasteful musical experience of accordion/vibes sounds in a classic jazz standard setting forged by the superb play from the North America Jazz Alliance." "The North American Jazz Alliance makes classy, polished jazz delivered in clear and crisp fashion." "The Monteal Sessions is mainstream jazz as good as it gets. ... this is an album that does the memory of Art Van Damme proud." "Stunningly groovy, this is the kind of session that will be a break out set and will be talked about for years." "The mellow sound is seductive and the technical mastery of the instrumentalist is obvious.This is a jazz lover's dream and one that likely will become a very popular nominee for a Grammy. Try it!" "You gotta have guts these days to feature the accordion in a band, but these guys pull it off." "Listen to his [John Labelle/vocals] take on Close your Eyes, and you'll understand my viewpoint. Smooth as a $100 bottle of Scotch... But, really, the true shining light to this whole thing is the stratosphere-high level of musicianship."